When will be Uncensored with Michael Ware next episode air date? Is Uncensored with Michael Ware renewed or cancelled? Where to countdown Uncensored with Michael Ware air dates? 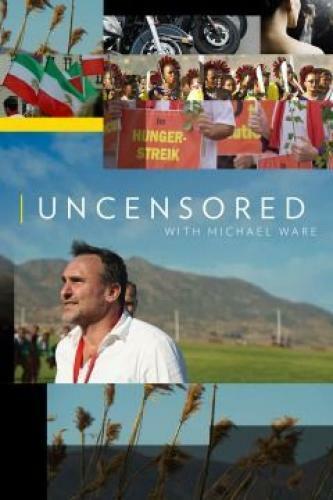 Is Uncensored with Michael Ware worth watching? Ware rides with The Night Wolves, a pro-Putin motorcycle gang. Rum, cigars and classic cars; Cuba is a new tourist hot spot. Michael Ware travels to the South to learn what lies behind the gentility of Southern charm. Ware travels with paparazzi in Los Angeles to see how they score a money shot. Uncensored with Michael Ware next episode air date provides TVMaze for you. EpisoDate.com is your TV show guide to Countdown Uncensored with Michael Ware Episode Air Dates and to stay in touch with Uncensored with Michael Ware next episode Air Date and your others favorite TV Shows. Add the shows you like to a "Watchlist" and let the site take it from there.